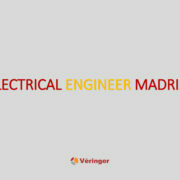 International company in Madrid is looking for an Engineer to be in charge of all engineering activities in electrical discipline for specific projects in accordance with contractual requirements (design, budgeted hours, schedule etc.) and by coordinating with other departments and external agencies. Coordinates with other Specialist involved in the project. Ensures that the discipline engineering deliverables are compliant with project QHSE plan and discipline engineering processes & standards. Empresa líder en su sector precisa en Belfort, Francia, proyectistas/ diseñadores de tuberías para ciclo combinado con SP3D e inglés B2 imprescindible. Diseño de tuberías ciclo combinado con SP3D. DURACIÓN ESTIMADA INICIAL: SEGÚN PROYECTO, 8-9 MESES. 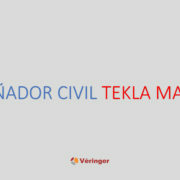 Empresa internacional de ingeniería y construcción precisa en Madrid para incorporación inmediata, diseñador civil con Tekla, deseable Smartplan 3D y Autocad. Accurate international company in Madrid Piping Designer to be in charge of installation design for assigned areas of on-shore process units. Reports to Principal Piping Designer of assigned area. 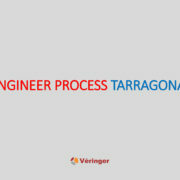 Defines locally equipment and installation arrangement to full required detail. Extracts and verifies isometric drawings. Takes part in the different MTO activities, if requested to. ESTIMATED DURATION: 1 YEAR MINIMUM.